iTech Xpress Inc located in Glendora provides Samsung phone repair services for Los Angeles County and the surrounding communities. Samsung Galaxy Glass Replacement: We understand that a shattered glass screen is very unpleasant especially with any Samsung Galaxy Phones. iTech Xpress is a qualified repair facility for smart devices such as your Galaxy phone. 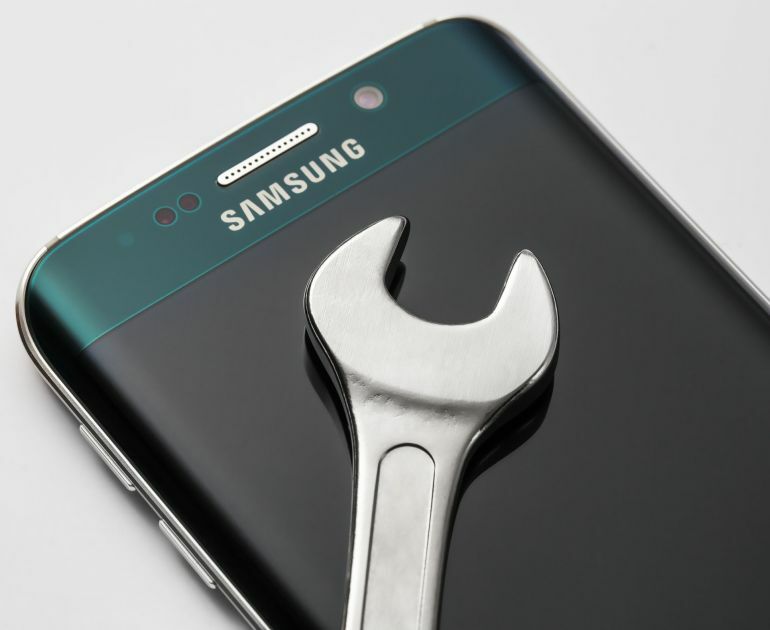 Diagnostic Service for Samsung Galaxy phones: At times damage to a Samsung Galaxy is not always apparent. Sometimes problems with your smart device are caused by bizarre anomalies. No problem, we can help! We are a certified shop for all repairs for Samsung devices. Our techs can run a diagnostic and determine the problem and offer repair services. Smart Device and Water Damage: We deal with water damage to Galaxy phones on a fairly regular basis. We have the experience and the skill to repair your water damaged phone. We also offer computer security services. We make sure that your anti virus program is installed correctly and that the virus definitions are updated. We can also remove virus and malware from your computer. If your computer needs repair, we can provide top quality diagnostics and repair service. Our computer repair services begin with a full diagnostic and then we explain to you what is broken, how long repairs will take, and what the costs are going to be. iTech Xpress Inc provides service to Glendora and the surrounding communities. For all of your computer and smart device needs stop by or give us a call. We are happy to provide you with the best service for your computer, Samsung Galaxy phones and iPhone and Apple devices. If you have a smart device that has been damaged just bring it into our shop or call us. We offer fast and affordable services for all smart devices. iTech Xpress Inc understands that your smart device is a central part of your life, and that is why we work skillfully and efficiently to reunite you with your device. We offer the same high caliber services for iPhone repairs as well. We are a high caliber repair facility for all computers and smart devices. We offer free computer diagnostic services for Windows and Apple computers. We offer complete repair services including OS Operating System upgrades.